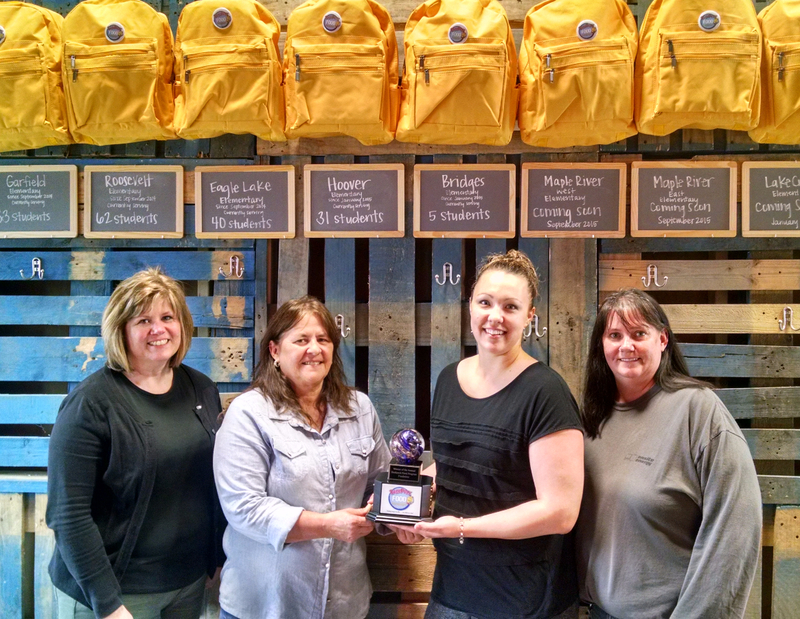 For the past three years, an employee-driven fundraising competition has taken place among several local companies, all in the spirit of raising money for the BackPack Food Program. Employees at MTU Onsite Energy initiated the competition in 2013. This year’s participants were MTU Onsite Energy, Imperial Plastics, CAB Construction, Nortech Systems and Viking Electric. The company that raises the most money receives a shiny traveling trophy to show off until the next year’s competition. This year’s winner was MTU Onsite Energy with a total of $2,806 raised. The overall total donated to the program was $5,722! 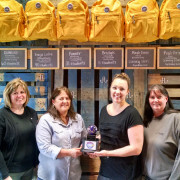 Pictured are Karla Hansen and Barb Jones from CAB and Brittany Abraham and Amy Domononoske from MTU.